Extreme! Songs for Modern Youth Choir is sure to engage and energize your students to radically turn up their passion for Christ as they sing these high-impact songs to witness and worship like never before! 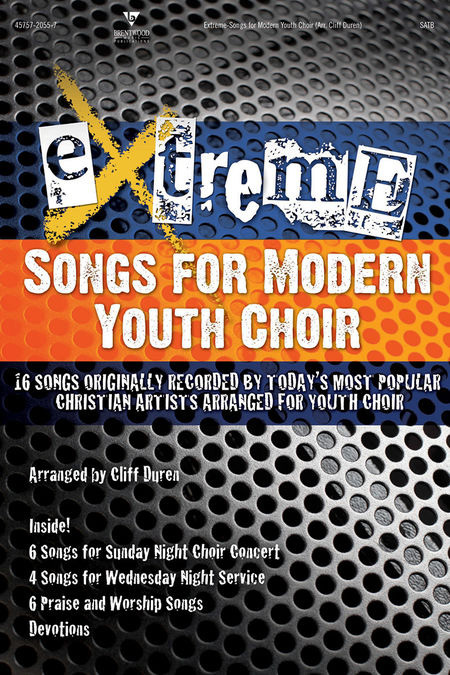 In this revival of EXTREME, perhaps the best-selling Youth Choir Series of all time, we deliver 16 songs originally recorded by some of today's most popular Christian artists, such as Toby Mac, Kirk Franklin, The Afters, Manafest, Hawk Nelson, Jamie Grace and many more!